Forty years-ago, before Voyager 1 left our solar system and careened into interstellar space, NASA equipped it with a golden record. But this wasn't just any golden record; it was filled with images and words from Carl Sagan (and others), a well-known astronomer who hosted Cosmos: A Personal Voyage when it originally aired in the 1980s. So, essentially, it was like a time capsule for whatever alien life found the record. NASA astronomers want to replicate that same idea with its New Horizons probe, and your message could be included. This is actually going to be an all-digital affair, as you'd expect in the year 2014, so everyone has the opportunity to include a selfie, Tweet or maybe even a Yo (please don't). 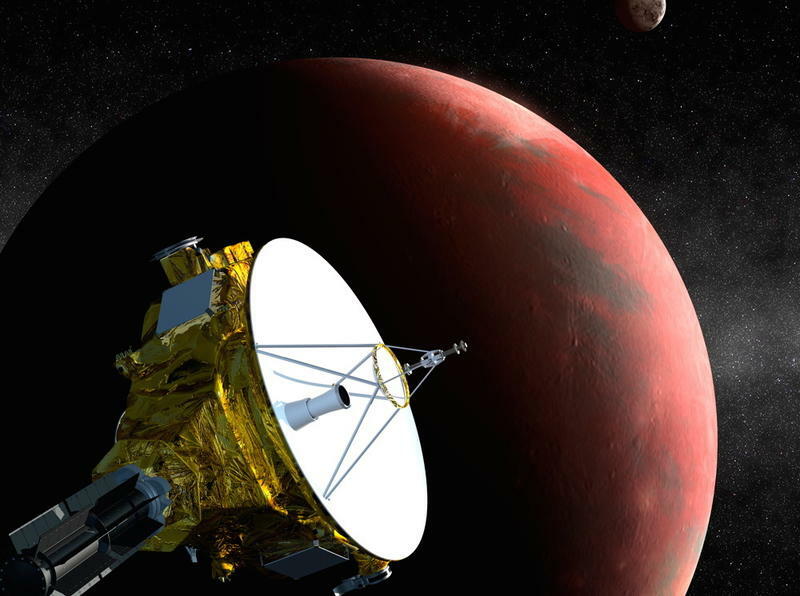 Back in 2006, when NASA launched New Horizons, the little probe was destined to study Pluto and its moons; the craft is scheduled to reach its destination next summer—some 300,000,000 miles away from Earth. Once it does, and once the probe is done with its mission, NASA scientists say the craft will have some extra memory to spare when it's done sending us its data. Seeing as NASA has the ability to communicate with the craft through downloading and uploading data, Jon Lomberg, who was involved with Voyager 1, thought it would be a cool idea to kind of replicate what he and Sagan did 40 years-ago. After carefully considering Lomberg's plans, NASA agreed to the idea, and the project is officially a go. Whereas the golden record of Voyager 1 was "a portrait of the Earth in 1977," Lomberg wants the messages beamed to the New Horizons craft to reflect the year 2014. But instead of selecting an elite few, people from all over the world will have the opportunity to submit their images and messages. Content will then be voted on, and the winners will be included in the final message. I hope we refrain from showing how goofy we look in Google Glass. Space.com writes that Lomberg will have editorial control over the content so as to ensure we don't anger our alien neighbors. But if you have an image you want to include, or some kind of audio message, this is your best chance to get that out into the darkest reaches of space. It's incredible that NASA can even communicate with New Horizons considering how far it is; communicating with the probe, incidentally, currently has a lag time of four hours. Messages will be solicited beginning next year, so you have plenty of time to formulate your best possible picture or Vine. Even if the messages aren't seen or heard by extraterrestrial life, maybe researchers will one day, many years from now, be able to collect that data and listen to those messages and see those images once again. It's like our own space-bound time capsule. So if you want to send a part of you into space, you'll get your chance next year.